Magic Kingdom crowds got you down? Tired of the heat, the sweat running down your back, and the ever present “other people?” Don’t throw a two-year-old’s temper tantrum. Take a time out. All of the Disney parks are designed to hold massive amounts of people, with the Magic Kingdom alone reportedly able to hold about 100,000 guests at a time. The iconic Cinderella Castle draws people within the gates by the bus load, and with this kind of popularity, it is easy to get consumed by the crowd, which at times can be less than magical. My number one piece of advice to any Disney traveler is to do your research. 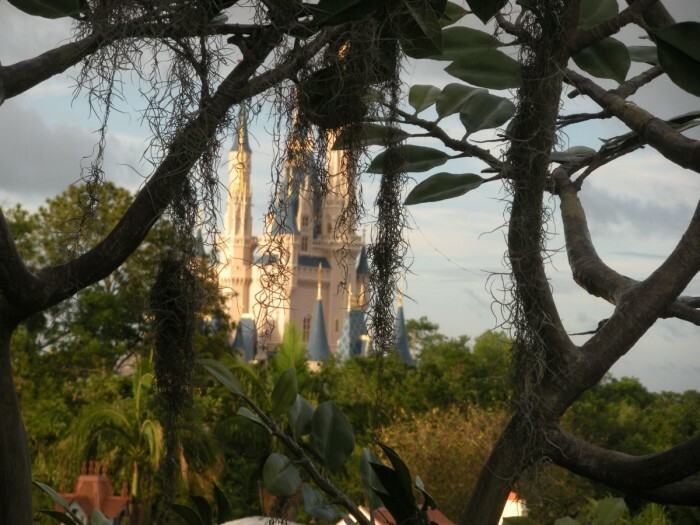 Utilizing a Magic Kingdom Touring Plan will alleviate most of your run-ins with the crowds. Couple the pre-trip planning with the Lines app in park, and you have set yourself up for a most Magical time. However, even with the pixie dust floating about, the hot humid Florida weather and crowds of people can wear even the most even tempered adult down. When this happens, instead of leaving the park, try one of my favorite spots in Magic Kingdom to gather my wits: Main Street, U.S.A.
You are probably asking yourself about now if I am crazy or if I find it soothing to run into another family every five feet because they have stopped to take the iconic “castle picture.” Neither, my friends. My spot on Main Street is never full, is shady, and is soothing to the ears. As you head down Main Street towards the castle, you will find a little “side street” shooting off to the right. At the end of this barren street are a few tables and chairs. While the crowds rush by on Main Street, it is a nice place to relax with a cool beverage and regain your composure. All while you listen to piano, singing, and dance lessons that are filtering down from above. 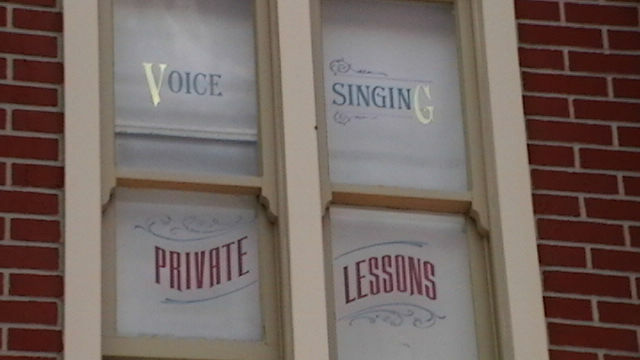 As with the rest of Main Street, the windows above this time out spot bear the names of the fantastical companies within. Look up, listen, and relax. You will thank me for it. Second on my list of time out spots is Tom Sawyer Island. This island is accessible by rafts departing from near Splash Mountain and Big Thunder Mountain Railroad. 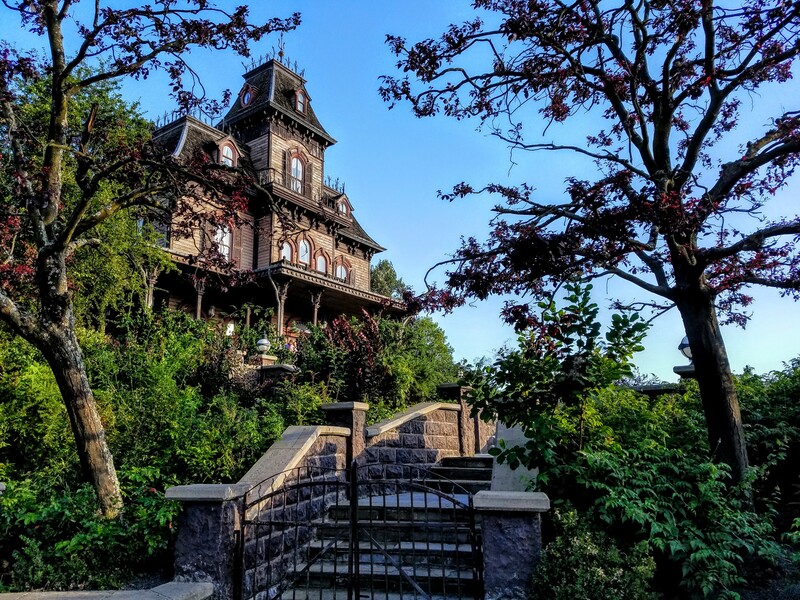 It ranks an overall 3 on the TouringPlans Attraction Rating page for Magic Kingdom, with young adults giving it a 3, adults 3.5, and seniors 3.5, as well. Once on the island, you can venture away from other park guests as you explore the trails and caves (pure heaven for a girl who loves nature!). 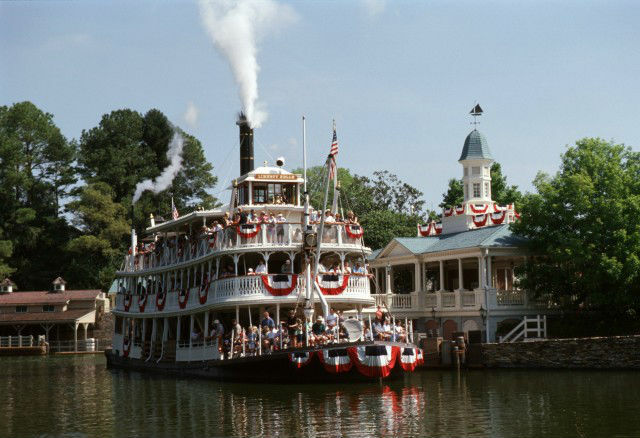 And once the exploring is done, be sure to claim a rocking chair and watch the Liberty Belle cruise on by. 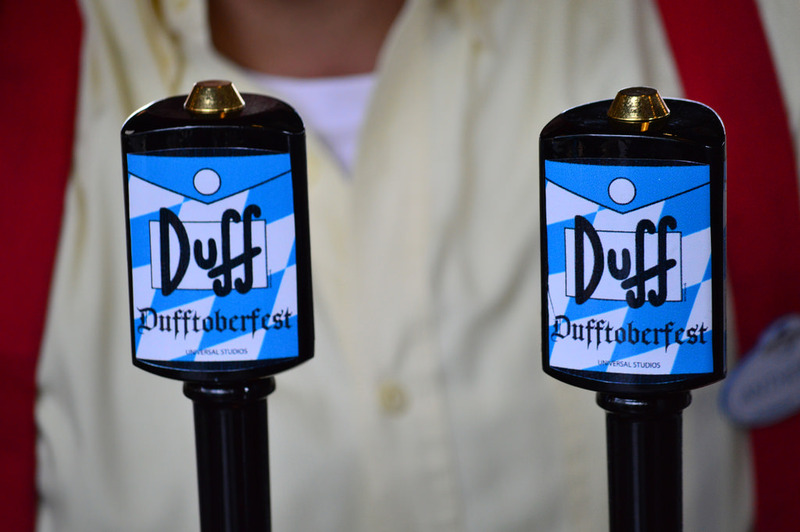 It feels like you have traveled back to a simpler time where turkey leg vendors, double strollers, and FastPass+ driven mobs of theme park guests didn’t exist. Time out spot number three is high in the sky in Adventureland. Yes, the Swiss Family Treehouse. The Treehouse does require the use of stairs and is not wheelchair or scooter accessible. It received a rating of 3 on the TouringPlans site, with young adults giving it a 3.5 and adults and seniors ranking it at a 3. I recommend utilizing this time out spot in the evening. It is simply magical to peek out of the tree branches at Cinderella Castle aglow in light. Romantic even, don’t you think? Even in the daytime. To finish out my favorite time out spots I present The Hall of Presidents and Carousel of Progress. Now, don’t get me wrong. Both are wonderful attractions, and I thoroughly enjoy the show of both. In fact both rank pretty high on TouringPlans amongst young adults, adults, and seniors, alike. The Hall of Presidents gets a 4, 4, and 4.5, respectively, with an overall rating of 3.5 when factoring in younger ages. The Carousel of Progress got 4s across the board, with an overall rating of 3. However, when simply looking for a place to escape the heat and crowds, you can’t go wrong with either. Air conditioned theaters offer a break from the hot Florida sun. Padded theater seating gives my weary legs a break. And low crowd levels make it the perfect spot to “chill out.” In fact, the crowds are usually so low that you can stay seated for another round without anyone noticing. Not that I am endorsing this behavior, but I’m just saying it could be the extra-long time out you so desperately needed. Do you have another spot where you like to take a time out while visiting Magic Kingdom? I’d love to hear about it! ← Disney’s Newest (Adorable) Collectible Craze: Tsum Tsums! I tend towards TTA for my slow-downs. Almost never a line, and a nice breeze while you watch the insanity below you. It’s also a ride where you can use your smartphone or tablet for most of the trip to play with any upcoming FP+ reservations (be polite, put it away in the dark sections, especially in Space Mountain). I love the TTA as well. However, the last couple of times we went on it, we were graced with a carload of young deviants right in front or behind us. The ride is classic, relaxing, and rates a 3.5 on TouringPlans attraction ratings, with every age group giving it a 4 except teens (3.5). The TTA PeopleMover is one of our favorite slow-downs as well. While the Carousel of Progress is quiet, it is also somewhat moldy. My wife had a bit of a reaction to it when we visited CoP this spring. With the CoP having its 50th birthday this year, I wish it would get some of the love that iASW has. It could really use a thorough cleaning, and paint and upholstery fixes. If I’m not mistaken, it had a refurb in May or June for seating and carpets, and has another scheduled for this year. I thought it was only closed for the Tomorrowland filming. Oops! Misspelled “peek” and incorrectly named “Cinderella Castle”. Thanks for the catch, Ben. As an ex-teacher I am kicking myself for such grammatical errors! Hey Amy! Thank YOU for the article. Sorry if I was a bit forward in my correcting; I’m a technical writer, and that’s what I do all day long. Force of habit. Went to CoP on Sunday Sept 28 the day it re-opened & the musty feel is pretty much gone, nicely updated/cleaned. The show is the same, and in one of the scenes, the narrator dude’s mouth failed to move while he was talking. But the seating area is cleaned up nicely, which was long overdue. Shhh! Don’t tell people about the side street off Main Street! 😉 My husband and I love going to this spot. It’s so relaxing. It’s best at night after Wishes when everyone is filing out of the park. Usually by that point my feet hurt and sitting down relaxing for a few minutes feels fantastic! Shhh! Don’t tell people about the side street off of Main Street! 😉 My husband and I love going here. It’s best at night after Wishes when everyone is filing out of the parks. Usually by that point my feet hurt and it feels great to sit down and relax for a few minutes!